Large infrastructure construction projects take several years to complete and are often located within built-up areas. This can give rise to significant noise and vibration nuisance which, if left unmanaged, can lead to project delays and significantly increased costs. 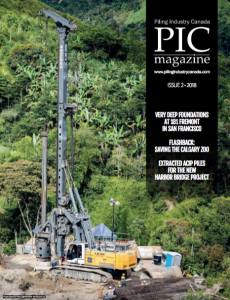 Importantly, excessive vibration from pile driving and other construction activities can lead to damage to nearby property and potential litigation. Brüel & Kjær has been active for many years providing noise monitoring solutions to manage noise nuisance around the world and is pleased to announce a partnership with Instantel to add vibration monitoring to its Noise Sentinel managed services.